Methodist Ladies' College Council is proud to offer academic, boarding and music scholarships to girls entering Years 7, 8 or 10. We invite girls from all independent and State schools to apply for the wonderful opportunity of gaining a MLC education. We encourage girls whose philosophies and values align with ours, and who are willing to fully participate in College life to apply. Testing and auditions for the scholarships are held at our Claremont campus in May for entry the following year. Special arrangements can be made for girls living more than 400 kilometres from our campus. All of the girls wishing to apply for a music or boarding scholarship must sit the academic examination. Girls who perform well in their testing will be invited to an interview with our Principal. Application for 2020 scholarships will open on 4 February 2019. Apply for a scholarship here. Each year the MLC College Council offers a number of academic scholarships to girls entering Years 7, 8 or 10. Each academic scholarship covers 50 per cent of tuition fees until graduation. This varies for music and boarding scholarships. All girls wishing to be considered for a Council academic, boarding or music scholarship must sit the academic scholarship test. An academic prize is also offered each year to a student who is a descendant of a MLC Claremont Collegian (past student). Scholarships with varying concessions are awarded for academic and musical excellence. From time to time the Principal may award a scholarship at her discretion. For more information please call MLC Admissions on +61 (08) 9383 0244. The MLC Council would like to invite girls who live in regional Australia to apply for a Council Rural Scholarship. 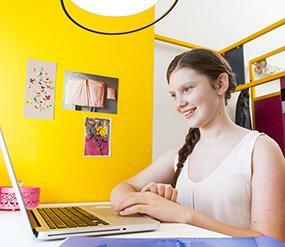 Scholarships are available for Boarding in the beautiful MLC Boarding House with all that it has to offer. All girls wishing to apply for this scholarship must sit the academic scholarship testing. Girls with a passion for music who are entering Years 7 or 8 are encouraged to apply for a music scholarship. Council Music Scholarships, and the prestigious, means tested, Ohman Music Scholarship, are awarded on the basis of musical excellence and potential, and academic performance. Girls applying for our music scholarships must also sit the academic scholarship test. The Ohman Music Scholarship provides 75 per cent remission of academic tuition fees and 100 per cent of music tuition on one instrument for the duration of Years 7–12 (subject to means testing). Council Music Scholarships provide 50 per cent remission of academic tuition fees and 100 per cent of music tuition on one instrument for the duration of Years 7–12. Scholarship holders must make a leading contribution to music in the College and maintain a high level of achievement in their chosen instrument. They are required to enrol in class music, select the Music Course of Study in Years 11 and 12 and participate in at least two College ensembles. Students should be at AMEB Grade lV standard, or above, on their principal instrument. A successful candidate on pianoforte may continue to learn pianoforte as her principal instrument, but will also be required to learn an orchestral or band instrument. Where possible, students should perform on two instruments in audition. On the day of audition, candidates must provide a music portfolio of achievements, letters of recommendation and copies of their audition pieces. In addition to these music scholarships, the College offers a wide range of music prizes for current MLC students in Years 6–12. Applications for 2020 scholarships will open on 4 February 2019. Apply for a scholarship here. Auditions for Music Scholarships will be held at the College between Wednesday 8 and Friday 10 May 2019. The College offers a large number of Instrumental and Vocal Prizes annually by audition. The prizes are awarded to support musical development and acknowledge progress, potential and commitment. Music Prize auditions are open to students at any level of achievement. Applications are encouraged from girls currently learning with an MLC Music Tutor or with a private Music Tutor outside the College. Year 6 Instrumental Prizes: each provides 50 per cent of the cost of instrumental tuition on an orchestral or band instrument for 32 lessons and the free use of a College instrument, subject to availability. Recipients must participate in at least two College co-curricular music ensemble. Years 7 and 8 Instrumental Prizes: each provides 50 per cent of the cost of instrumental tuition on an orchestral or band instrument for 32 lessons and the free use of a College instrument, subject to availability. Recipients are required to enrol in Class Music and participate in a minimum of two co-curricular music ensembles. Years 9 and 10 Vocal and Instrumental Music Prizes: each provides 50 per cent of the cost of vocal or instrumental tuition for 32 lessons. Recipients are required to enrol in Class Music and participate in a minimum of two co-curricular music ensembles. Friends of Music MLC Award: This is awarded to a Year 11 student who is enrolled in Class Music. It provides 50 per cent of the cost of instrumental or vocal tuition for 32 lessons for Years 11 and 12, and free use of a College instrument, subject to availability. Recipients are required to participate in a minimum of two co-curricular music ensembles. On the day of audition, candidates must provide a music portfolio of achievements, letters of recommendation and copies of their audition pieces. Where appropriate, pieces should be accompanied. A College accompanist can be provided for rehearsal and audition. 2020 MLC Instrumental Music and Vocal Prize Information. Registration for 2020 Scholarships will open on Monday 4 February 2019.
Who supervises the MLC scholarship process and examinations? Methodist Ladies' College is pleased to continue with the Academic Assessment Services scholarship testing programme for entry in 2020. How do I ensure my daughter has the best opportunity of receiving an offer from MLC? It is important for parents to understand scholarship applicants will be limited to two (2) school preferences and students will sit the examination at the school, which is their nominated first preference. This is critical to the programme’s overall success. To increase the likelihood of being offered a place at Methodist Ladies' College, parents must list MLC as their first preference school, and their daughters will sit the examination at our Claremont campus. Does my daughter have to sit the examination at MLC? Yes. However, students living over 400km from Perth, who are unable to travel to MLC to sit the examination, should apply for the remote location scholarship when registering online. What if I don’t register prior to Friday 10 May 2019? Late registrations will not be accepted after this date. 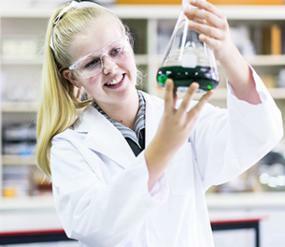 Academic scholarships are offered for girls entering either Year 7, Year 8 or Year 10 in 2020. Can my daughter apply for more than one scholarship? Yes. We offer Academic, Music and Boarding scholarships. How do I prepare for the scholarship test? 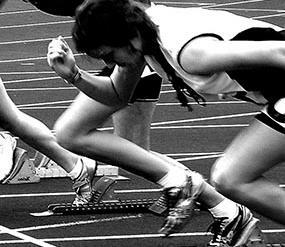 Special preparation or coaching is not likely to improve your results. The best preparation is to arrive relaxed and refreshed on the testing day. Scholarship tests are designed to identify and distinguish between students of high academic ability. They are more difficult than the normal achievement tests students often take in schools. They are timed tests assessing how clearly a student can demonstrate higher-order critical thinking skills. What reduction of the fees can I expect from an MLC Scholarship? Scholarships typically provide a 50 per cent tuition fee reduction or, in the case of our Boarding Scholarship, a 100 per cent boarding fee reduction. There is also a Collegian Prize that is a one-off payment of $3,000. The Ohman Music Scholarship provides a 75 per cent remission of academic tuition fees and 100 per cent of music tuition on one instrument for the duration of Years 7–12 (subject to means testing). The Council Music Scholarship provides a 50 per cent remission of academic tuition fees and 100 per cent of music tuition on one instrument for the duration of Years 7–12 . When are the music auditions? Auditions for Music Scholarships will be held at the College between Wednesday 8 and Friday 10 May 2019. When will my daughter’s scholarship results be available? MLC will contact prospective scholarship recipients after Monday 24 June 2019. Interviews will take place from Tuesday 25 June to Friday 5 July.